Diesel fuel used in diesel powered vehicles and other engines, is basically No. 2 home heating oil. The only difference is that home heating oil has a dye added to it that distinguishes it from untaxed or lower-taxed fuels. The higher-taxed diesel fuels are used for over-the-road vehicles. However, if an emergency were to arise such as the home running out of heating oil, diesel fuel could be purchased at the local service station. Homeowners can substitute diesel fuel for home heating oil in any quantity necessary while awaiting delivery of home heating oil from their local distributor. 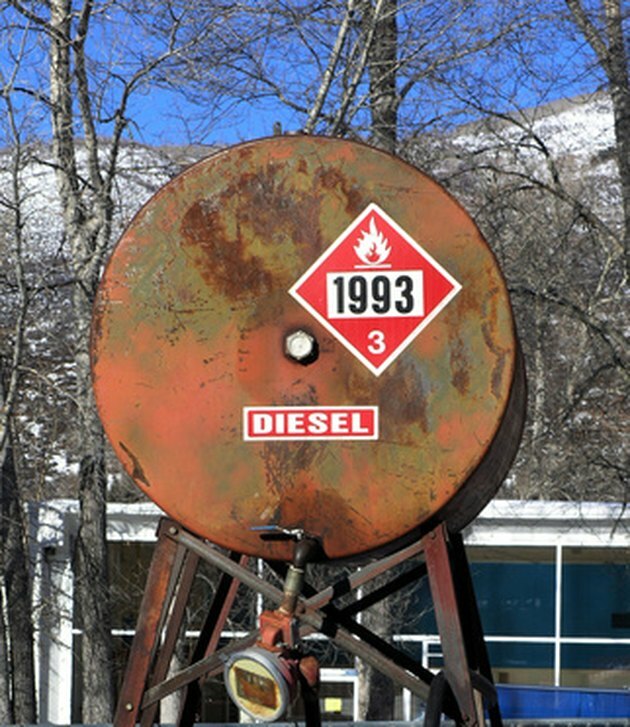 Diesel fuel is a substitute for home heating oil. Acquire a minimum of 5 gallons of diesel fuel. Keep in mind that all state, local, and federal taxes will apply. Turn the home thermostat that controls the oil furnace to the "off" position. Locate the oil tank filler pipe by checking the top of the oil tank and following the large pipe to the cap. The smaller pipe provides the ventilation for the oil tank. Remove the cap from the filler pipe using the pipe wrench. Turn the cap in a counter-clockwise direction to remove. Insert the funnel into the mouth of the filler pipe. Make sure to use a funnel of sufficient size for the pipe. Pour the diesel fuel from the 5 gallon container into the filler pipe using the funnel. Take care not to overfill the funnel. Remove the funnel when finished and replace the filler pipe cap. Tighten the filler pipe cap using the pipe wrench. Turn the cap in a clockwise direction.